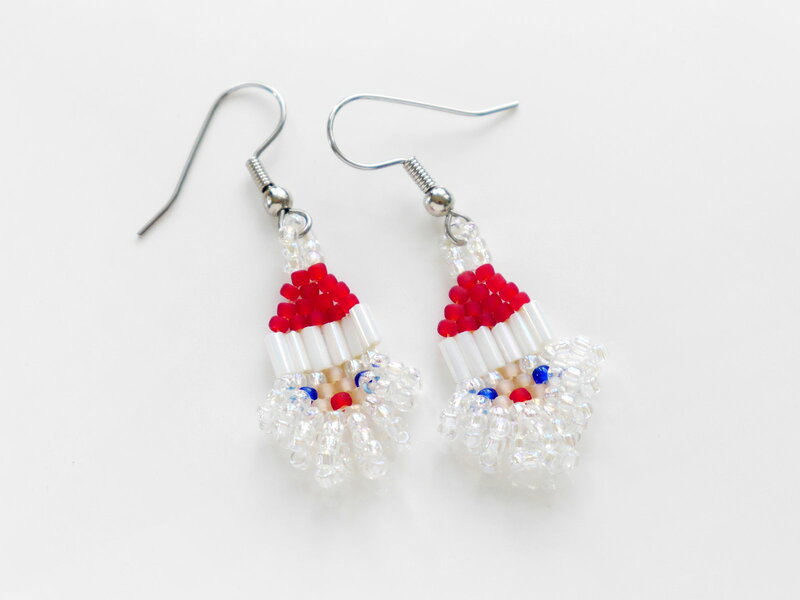 Perfect for office Secret Santa gift exchanges, but you may want to keep them for yourself! 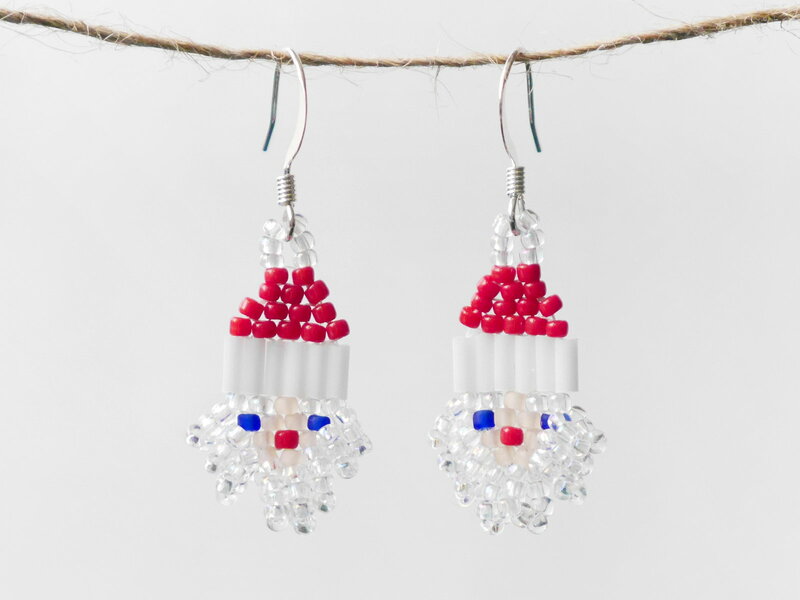 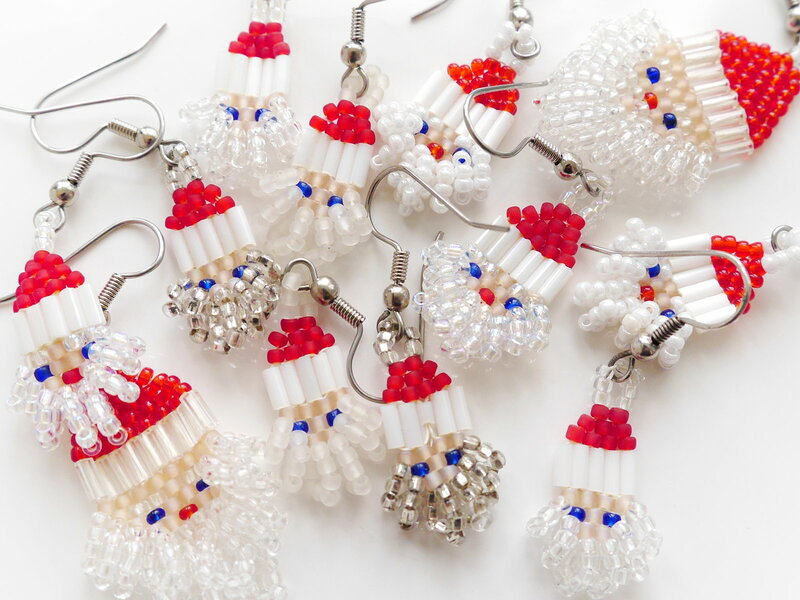 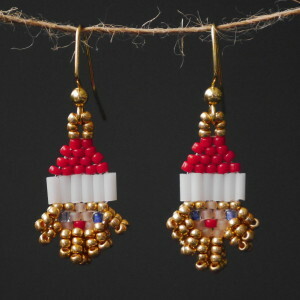 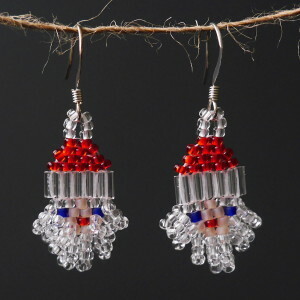 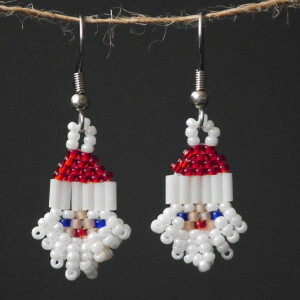 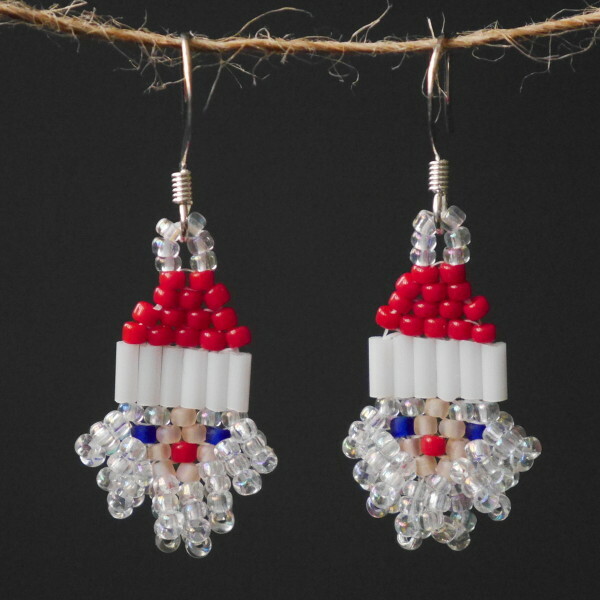 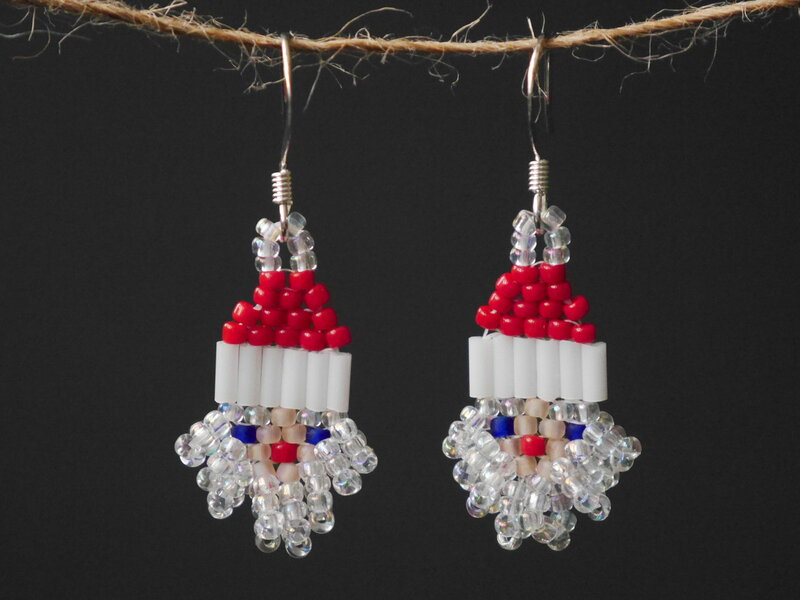 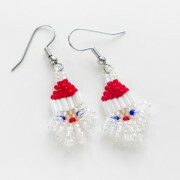 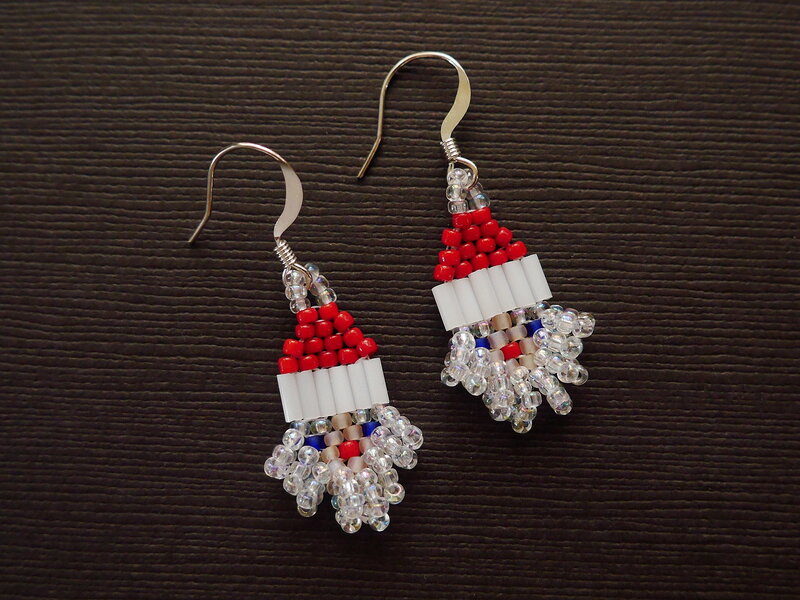 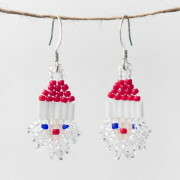 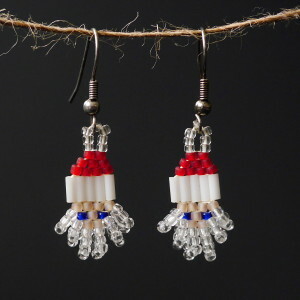 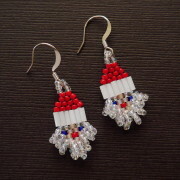 The beaded Santa earrings are my most popular beaded items. 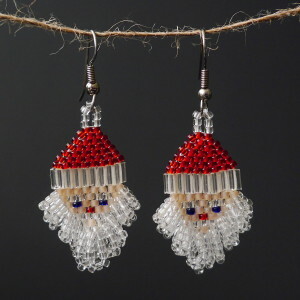 Made with seed beads in the brick stitch technique, these little fellas are guaranteed to put you into a holiday mood! 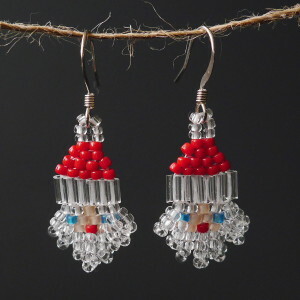 This is the rainbow crystal version, featuring beards using crystal ab (aurora borealis) beads, red hats with opaque white accents. 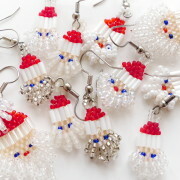 The skin is made with translucent matte beige color beads, and the eyes are transparent or matte blue seed beads.